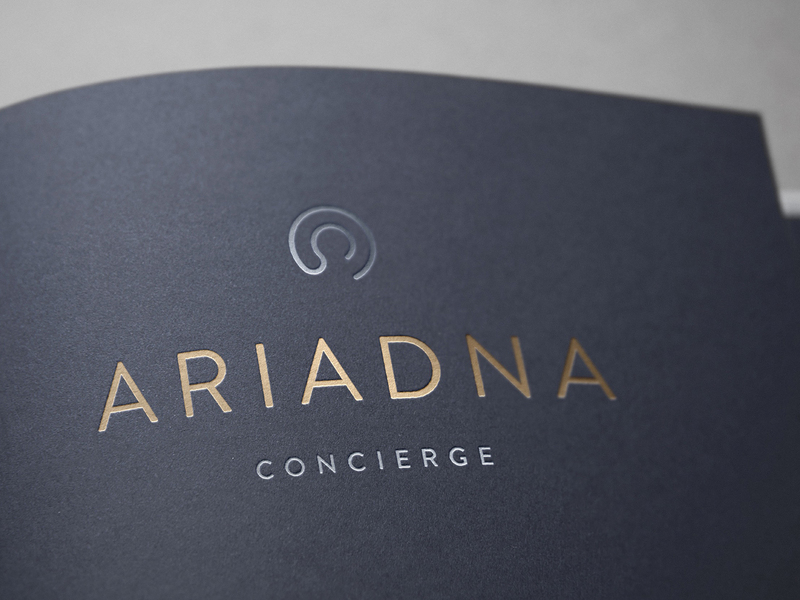 Brand design, Identity and website design for Ariadna — a concierge service that deals with Ultra High Net Worth Russian families and corporate clients in London. The idea for the logo motif design came out of research into the legend of Ariandne's Thread: the solution to a problem through an exhaustive application of logic — a perfect comparison to be drawn to the nature of the business. The logo itself is an abstract to the solution for the traditional Cretan labyrinth that was the center point for the legend of Ariadne's thread. 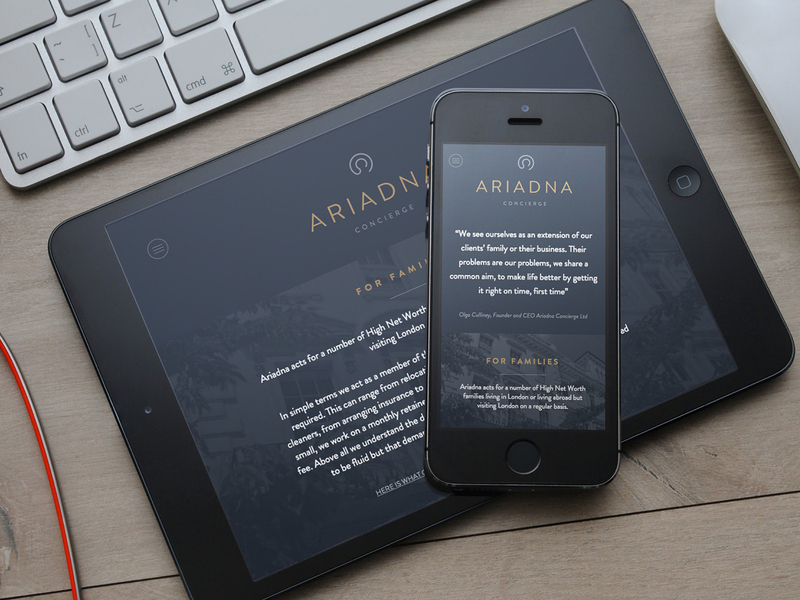 The target audience needed to be assured that Ariadna was a highly professional, discreet company that would be able to handle anything that was required and with a style that they are accustomed to. The brand was designed to reflect the high-quality aesthetic needed, by creating a very luxurious feel to all brand touch-points using a rich colour palette, with embossing and gold foiling where appropriate.